What Happens to MegaUpload’s Grammy Winning CEO Swizz Beatz? In yet another surprise move, file-sharing site MegaUpload has quietly appointed rapper / producer Swizz Beatz as its new CEO. Swizz Beatz, who's married to Alicia Keys, is claimed to have played a key role in recruiting some of the A-list stars who endorsed the site in the controversial Mega Song campaign. The appointment of the prominent rapper is not going to be applauded by the major music labels, who describe Megaupload as a piracy haven. One of the many unanswered questions regarding the MegaUpload shutdown today is what happens to the company’s new CEO? 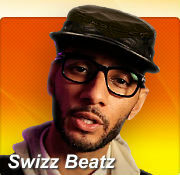 A few days ago MegaUpload surprised friends and foes by listing rapper/producer Swizz Beatz as CEO. Beatz is not named in the indictment which was made on January the 5th, which may have saved him. Beatz was one of the stars who endorsed MegaUpload in public, and he reportedly recruited several artists for the Mega Song promotion. Beatz, whose real name is Kasseem Dean, is married to R&B superstar Alicia Keys, and won his first Grammy Award in 2011 with Jay Z for the song “On To The Next One.” Aside from working at MegaUpload, Beatz is also producing Dr. Dre’s highly anticipated third studio album Detox. Beatz’s appointment connected MegaUpload to many of the biggest musicians in the business. This could have come in handy as MegaUpload founder Kim Dotcom was working on a plan to crush the major “dinosaur” labels, who he says are not giving musicians what they deserve. Mega’s competing music venture is/was called Megabox, a site that would soon allow artists to sell their creations directly to consumers. And unlike the traditional record deals where artists get only a fraction of the revenue, with Megabox the musicians would get to keep 90% of earnings. Needles to say, the raids and arrests today delayed this plan. c There are 44 comments. Add yours?